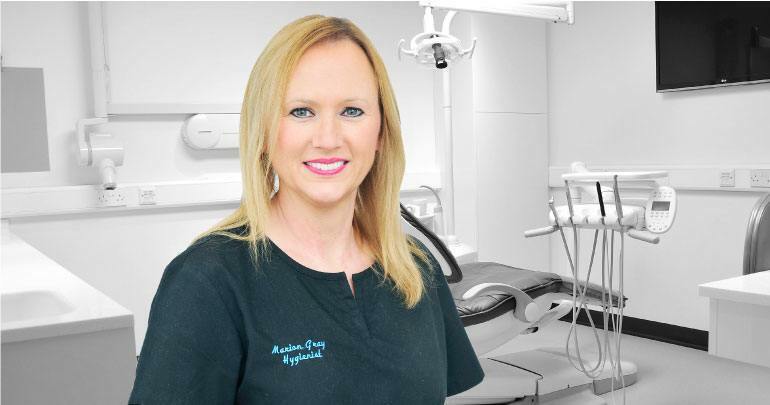 Marion has been our Practice Hygienist for almost 20 years and her role is to improve and maintain the periodontal (gum) health of our patients. Marion delivers this care to patients who have been diagnosed with periodontal disease by their dentist working with these patients to achieve improvements in their periodontal (gum) health. However, prevention is better than cure in this respect. Marion also sees patients for routine scaling and polishing as part of an ongoing dental health maintenance programme.